Isn't it interesting how our food preferences develop with age? I used to hate tomatoes when I was a wee lass and would not eat anything with tomatoes in it. Then all of sudden, while I was in college, I started to like tomatoes. Then I began to love them and would eat them like how people eat apples -- whole and plain. How does this story relate to this post? It doesn't, actually. I love okra and have always loved okra, ha! My kids, however, are a different story. A few years ago, I had tried making a dish with okra in it and was met with animated revulsion from them (fake gagging, loud ewww's and yuck's...that kind of stuff). Last month, I had some leftover okra from making pinakbet and decided to throw it in some soup I was making. I couldn't believe my eyes and ears when I saw and heard them fighting over the few pieces of okra that were floating in the soup. My son even quipped, "Mommy, next time, you need to put more okra in the soup!" Unbelievable. But hey, I'm happy to oblige. I love it when my kids get adventurous with food. 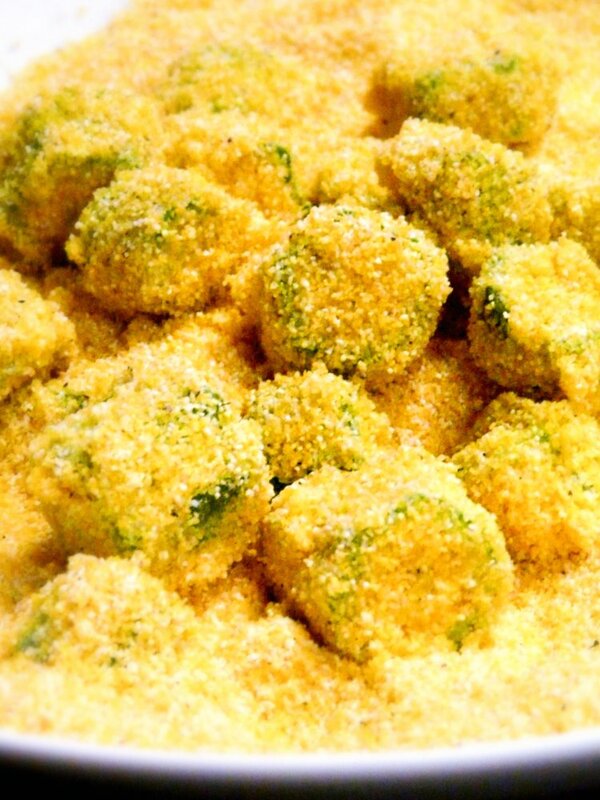 I first tried fried okra in a small restaurant specializing in Southern food about 8 years ago. 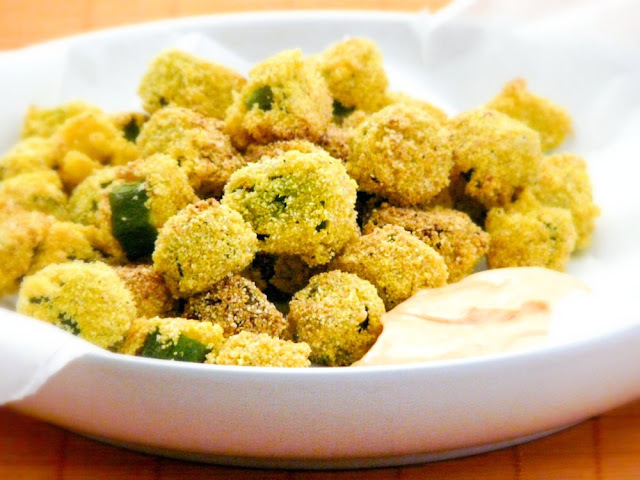 They were extremely good (addictive even) so when I saw a bag of okra at the Asian grocery store, I decided to buy it and make fried okra as a treat for the kids to, you know, celebrate their new found love of this vegetable. This is a basic and simple recipe for Southern style fried okra which uses cornmeal and buttermilk for the batter instead of egg and flour. For my own twist to it, I served it with a spicy dipping sauce which comprised of 1 teaspoon of Sriracha sauce mixed with about 2 tablespoons of mayonnaise. Needless to say, it was a big hit with the kids. Wash and dry the okra then trim off the top and bottom. Cut them into roughly 3/4 inch pieces. 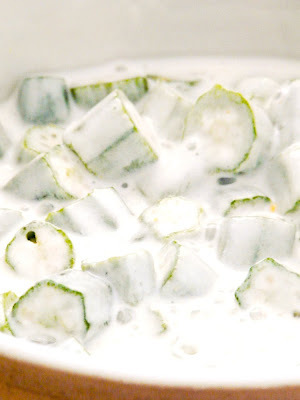 Pour the buttermilk into a mixing bowl and add the okra pieces to it. Soak the okra in the buttermilk for about 10 to 15 minutes. 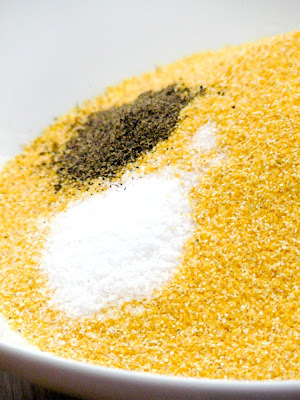 Meanwhile, place the cornmeal in a shallow dish and add the salt and pepper to it. Mix well. Heat the oil in a frying pan. You'll know it's hot enough when you add a pinch of cornmeal to it and it begins to sizzle. 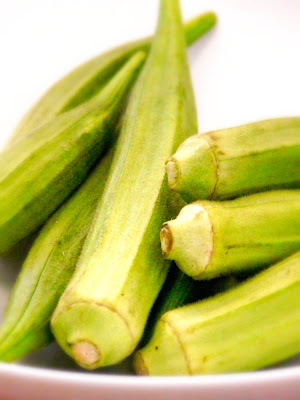 Drain the buttermilk from the okra then dredge the okra pieces in the cornmeal. 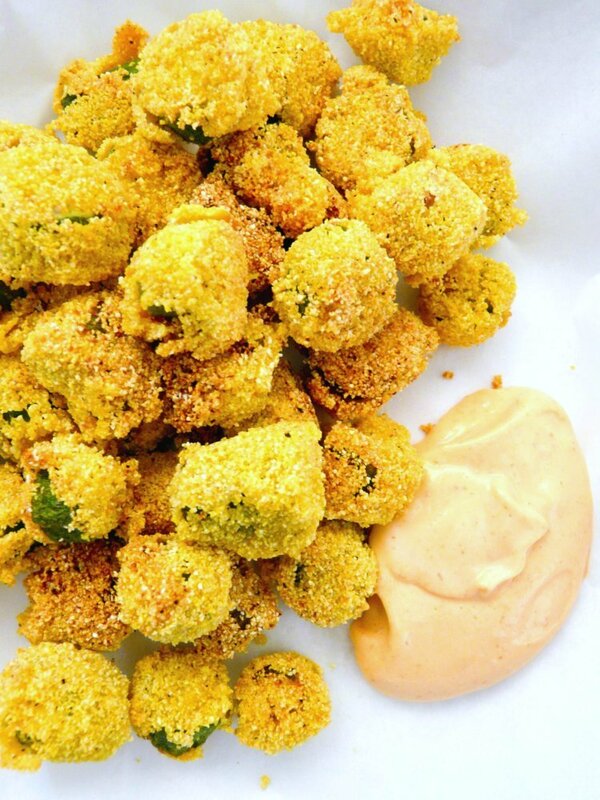 Carefully add the battered okra to the pan and fry until they become little golden brown nuggets of yum. Remove them from the pan with a slotted spoon and drain on paper towels. Serve hot. Okra pieces soaking in the buttermilk. Add salt and pepper to the cornmeal. Serve with spicy mayonnaise or ranch dressing as a dip.